3 of 3 renderings of Winecup at the Ladybird Johnson Wildflower Center, Austin, Texas. Raw conversion in Capture One Pro 8. Post processing in PhotoLine 18, onOne Perfect Photo Suite 8.5, Topaz photoFXlab, Topaz Adjust 5 and Topaz Impression (Oil Painting II preset at 80% opacity). 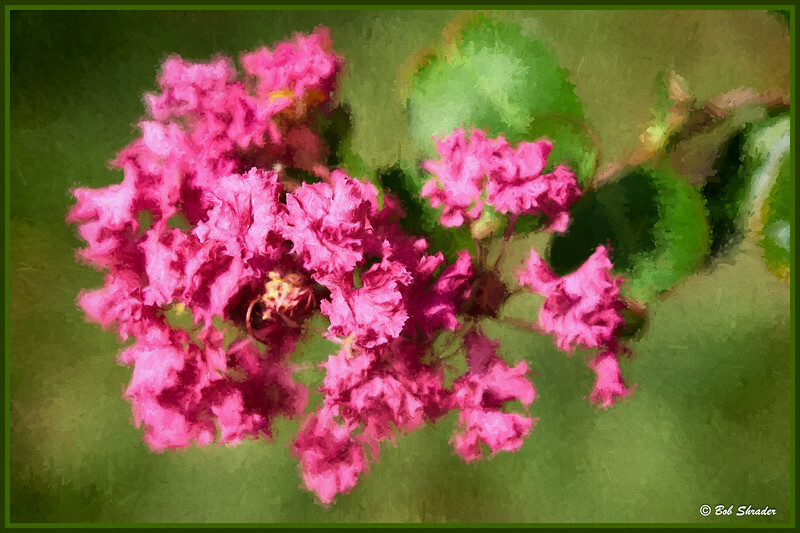 A Crepe Myrtel (Lagerstroemia) blossom rendered as digital art. Shot with an Olympus OM-D E-M1 and M.Zuiko 60mm f/2.8 Macro. Raw conversion in Capture One Pro via Lightroom 5.6. Post processing in Photoshop CC 2014, Topaz Adjust 5 and Topaz Impression (preset: Edward Hopper II) with strength at 90%. 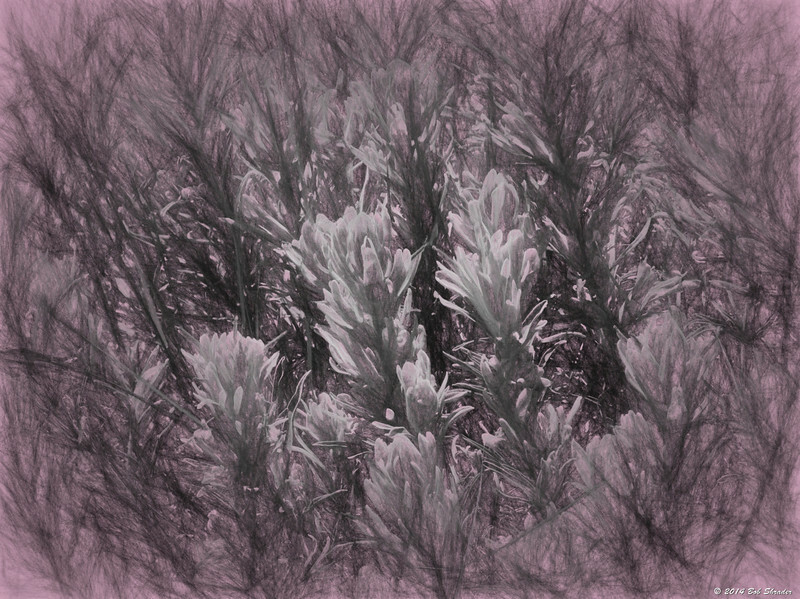 A test of the new Topas Labs pluging, Topaz Impression. 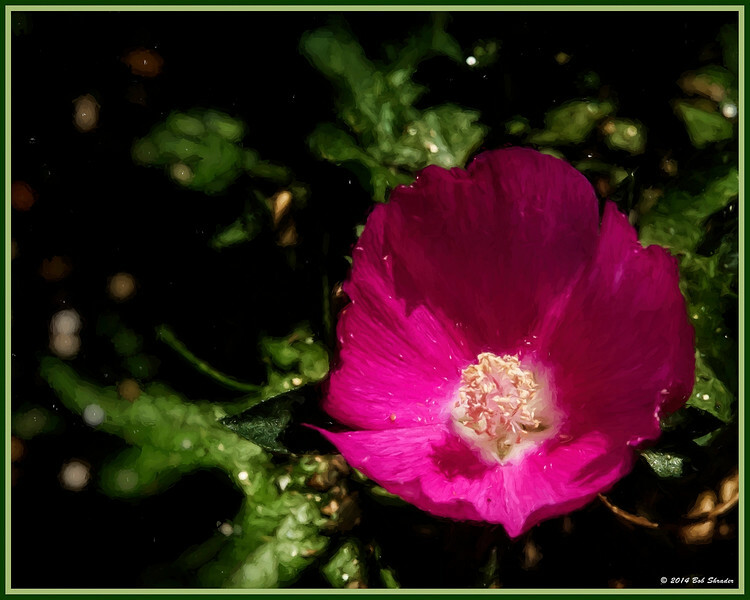 The pink and yellow blossom of a Rock Rose (Pavonia lasiopetala), a hardy native plant, surving in heat and drought stress. Raw conversion in DxO Optics Pro 9.5. Post processing in Topaz Impression (Urban Street Art II) and PhotoLine 18.51. Testing of the new Topaz Labs plugin Topaz Impression. Indian Blanket in Callahan County, Texas. Raw conversion in Photo Ninja 1.2.3b. 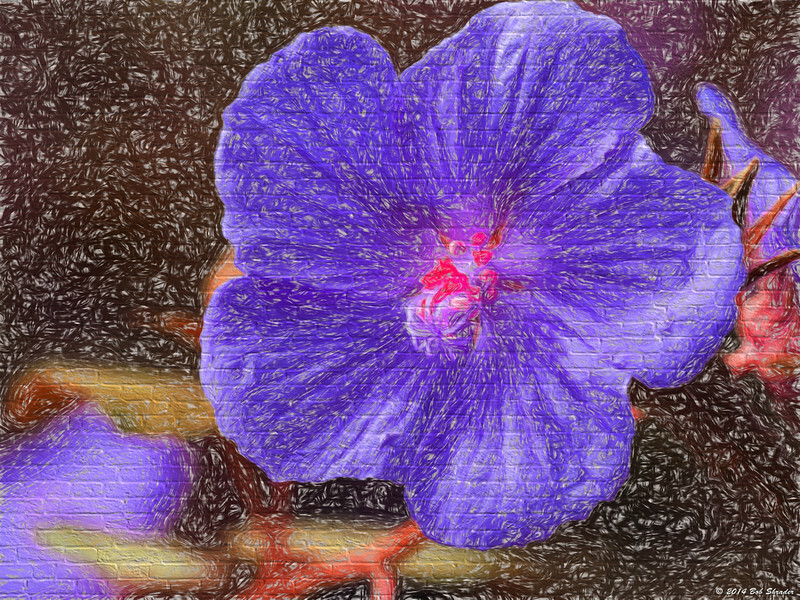 Post processing in PhotoLine 18.51, Topaz photoFXlab and Topaz Impression (Colored Pencil). 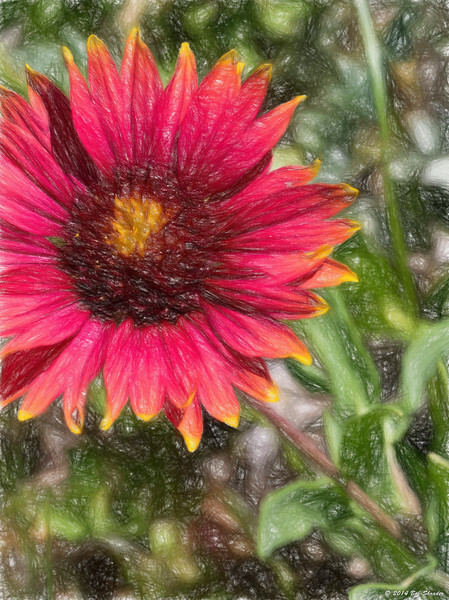 Test with the new Topaz Impression plugin applied to Downy Indian Paintbrush. Da Vinci Sketch preset used as start of adjustments. Shot in Callahan County, Texas. Raw conversion in Photo Ninja 1.2.3b. Additional post processing in PhotoLine 18.51. 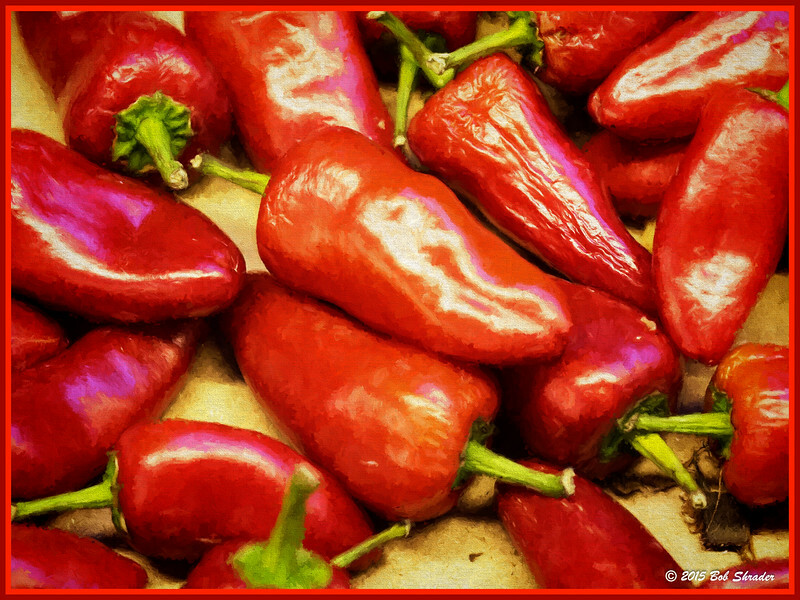 Digital painting effect applied to peppers on display at Central Market in south Austin, Texas. Shot with an Olympus E-M1 and M.Zuiko 60mm f.2.8 Macro. Raw conversion in DxO Optics Pro 10 via Lightroom 5.7. Post processing in Photoshop CC 2014, Topaz Adjust 5 and Topaz Impression with adjustment of Degas Dancers I preset.